Despite a much-touted local content policy, little has been done to develop the indigenous human capital required to manage the national oil and gas resources, Brigadier Nii Armarh Tagoe of the Ghana Army has observed at the New Year School lectures. A draft local content bill — submitted and subsequently approved by cabinet and currently awaiting parliamentary scrutiny and passage into law, envisages up to 90 percent local content and participation in the oil and gas sector within the next decade. 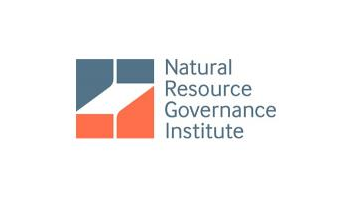 Experts, including Trinidadian consultants engaged to help develop a local content policy, have noted that government’s expectations were overly ambitious — pointing out that the global best-case of local content in the hydrocarbons industry is about 75 percent. 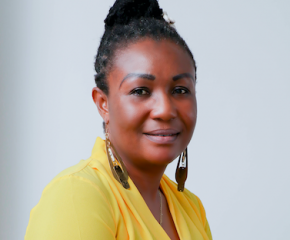 Government officials in the oil sector are however adamant that such a high local content expectation will encourage speedy action towards Ghanaian control of the nascent oil sector in the shortest possible time. A recent contract with Chinese state-owned Sinopec for the development of Ghana’s gas infrastructure — which had the Chinese contributing a minimum of 60 percent of the labour force, with only up to 40 percent coming from Ghana — has sparked debate about government’s commitment to promoting high local content and participation in the industry. A growing consensus among experts point to a need to match local capacity to the local content policy, thus; highlighting the need to invest in education and development of the human capital required by the sector if Ghanaians are to control the sector anytime soon. Tagoe said discovery of off-shore oil and gas in commercial quantities in 2007 gave the nation a wake-up call. “Various private training institutions sprang up from 2008 and beyond. Each of these training institutions advertised various training programmes for specific trades or vocations required in the industry. The large army of unemployed youth in the country was enticed by these advertisements and accordingly enrolled. Other professionals such as accountants, lawyers and engineers enrolled for specialisation programmes in the oil and gas industry,” Tagoe disclosed. He explained that as a result of the void created in the formal educational sector for training the human resources for the oil and gas industry since the 1970s, the private educational institutions have seized the initiative from the public educational institutions and by extension the Ministry of Education. Policies governing standards and accreditation for institutions in the educational sector for the oil and gas industry have thus lagged behind the national requirements. 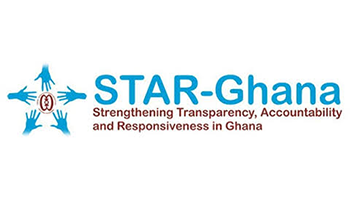 “The situation is the same when it comes to policy-direction for the development of the requisite human resources for the oil and gas industry,” Tagoe said. He noted that an overview of the various categories of functional groups required to operate and manage the oil industry — including field-workers, operators, trades, technicians, technologists and geo-science professionals, as well as, engineers, marine and nautical services, and business and operations support — indicated there is a big deficiency in the human capital requirement of the sector. “The deficit of professional, vocational, technical and business entrepreneurs, will take about two to five years to train, to enable them fill much of the gap. “The best way to facilitate addressing this shortfall is through Public-Private-Partnership (PPP) programmes,” Tagoe observed. He pointed out that it is necessary the Ministry of Education to take immediate steps to give policy-direction to such a programme. “This can be facilitated through the inclusion of the relevant subjects at the various levels of the educational ladder in the public institutions, starting from the Senior high schools. Specialisation or specific knowledge-based skills acquisition can be offered at the tertiary level,” Tagoe said. He proposed that the bulk of technical and vocational skills acquisition courses be offered at the polytechnics, whilst the engineering courses and other specialist fields are studied at the Universities. At the same time, the private educational institutions should be accredited by the National Accreditation Board to offer courses in which they have the capacity and requisite resources including lecturers. 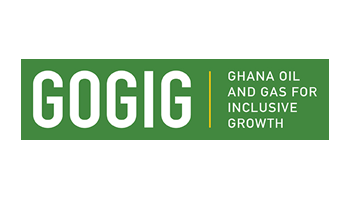 Tagoe noted that in addition to training programmes to develop the human capacity directly required in the oil exploration and production industry, there will also be need to build the capacity of the Security Services to enable them manage the threats likely to confront the Nation as a result of the development and growth of the Oil and Gas industry, in the most efficient and effective manner. Perceived threats to national security arising out of the oil industry, Tagoe noted, include border disputes, acts of terrorism, hostage taking, hijacking, kidnapping, abduction, illegal bunkering, stealing of oil, piracy, conflict of interest within the safety zones, environmental degradation, natural disasters, and security of land installations among a host of others. “Each of these threats require specialist training to contain or eliminate whenever they occur. It thus behooves Government to allocate enough funds to the various Security Services to build the capacity to effectively and efficiently manage these threats before the crime occurs. “The cost for maintaining sound peace and tranquility within which the desired National Socio-economic Development can thrive is priceless,” Tagoe said.